Habakkuk the prophet was a man filled with frustration. In the first two chapters of Habakkuk, the prophet brings two complaints to God (1:2-4; 1:12-2:1). Each time, God answers Habakkuk’s complaint (1:5-11; 2:2-20). Habakkuk’s first complaint: How much longer? O LORD, how long shall I cry for help, and you will not hear? Or cry to you “Violence!” and you will not save? (1:2). God’s answer: Trust me. I am working on a plan you can neither see nor understand. “I am doing a work in your days that you would not believe if told” (1:5b). Habakkuk’s second complaint: That’s not fair! You who are of purer eyes than to see evil and cannot look at wrong, why do you idly look at traitors and remain silent when the wicked swallows up the man more righteous than he? (1:13). God’s answer: Trust me. I know what I’m doing. “But the LORD is in his holy temple; let all the earth keep silence before him” (2:20). Habakkuk’s complaints are childish complaints. Children often complain to their parents: “How much longer?” and “That’s not fair!” But good parents usually know best. And certainly God our Father knows best. We need to trust Him. The righteous shall live by his faith (2:4). These words are “quoted in the NT to emphasize that people are saved by grace through faith (Rom. 1:17; Gal. 3:11; cf. Eph. 2:8) and that Christians should live by faith (Heb. 10:38-39). 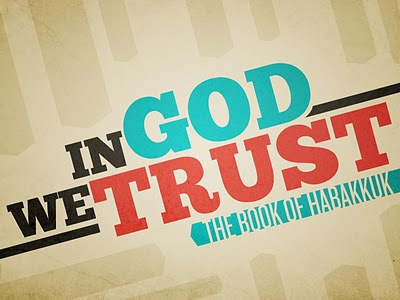 The kind of faith that Habakkuk describes, and the NT authors promote, is continuing trust in God and clinging to God’s promises, even in the darkest days” (ESV Study Bible, p. 1724). O LORD, I have heard the report of you, and your work, O Lord, do I fear (3:2a). Though the fig tree should not blossom, nor fruit be on the vines, the produce of the olive fail and the fields yield no food, the flock be cut off from the fold and there be no herd in the stall, yet I will rejoice in the LORD; I will take joy in the God of my salvation (3:17-18). God, the Lord, is my strength; he makes my feet like the deer’s; he makes me tread on my high places (3:19). Sometimes when I play a game like Frustrated, I can get quite frustrated. I like to win. But sometimes while playing a game I remind myself, “Who really cares if I win or lose? It’s just a board game!” I often need a change of perspective. Spending time with family and friends is more important that winning a game. Habakkuk was a man who went from frustration to faith. What caused this change? His circumstances had not changed. And he says that even if his circumstances get worse, he still will rejoice in the Lord. What happened? Habakkuk stopped focusing on his frustration and started worshiping God. When God is worshiped, perspectives change and people change. Trust Him. Perhaps you aren’t aware that the word “Christian” is found only three times in the Bible. And in Antioch the disciples were first called Christians (Acts 11:26b). And Agrippa said to Paul, “In a short time would you persuade me to be a Christian” (Acts 26:28). Yet if anyone suffers as a Christian, let him not be ashamed, but let him glorify God in that name (1 Peter 4:16). These three verses suggest that the name “Christian” was invented and popularized by non-believers. In Antioch they may have said, “Look at those strange people who follow that man Jesus. Wasn’t he crucified? And they still believe he is the Christ? That’s insane! Let’s start calling them Christians.” So “Christian” was originally an insulting label that was later embraced by the church (like “geek” and “nerd” today). In today’s world, when you talk about “following” someone, people might think you’re talking about Twitter. (For example, our Prime Minister Stephen Harper has 167,960 followers on Twitter. President Barack Obama has 10,083,001.) 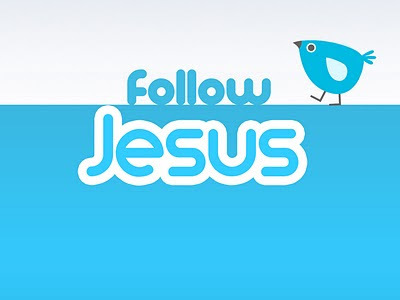 It doesn’t take much to follow someone on Twitter—just a click on the “Follow” button. But it is sometimes very difficult to be a follower of Jesus—a Christian (as 1 Peter 4:16 states and Acts 26:28 implies). The earliest recorded use of “Christian” outside the NT is by the Roman historian Tacitus when he wrote that Nero blamed the “Christians” for the Great Fire of Rome in A.D. 64. Some Christians were forced to confess by means of torture, and these “confessions” led to the persecution of Christians. …Nero fastened the guilt and inflicted the most exquisite tortures on a class hated for their abominations, called Christians…by the populace. Christus, from whom the name had its origin, suffered the extreme penalty during the reign of Tiberius at the hands of one of our procurators, Pontius Pilatus, and a most mischievous superstition, thus checked for the moment, again broke out not only in Judea, the first source of the evil, but, even in Rome, where all things hideous and shameful from every part of the world find their centre and become popular. In accordance, an arrest was first made of all who pleaded guilty; then, upon their information, an immense multitude was convicted, not as much of the crime of firing the city as of hatred against mankind. Mockery of every sort was added to their deaths. Covered with the skins of beasts, they were torn by dogs and perished, or were nailed to crosses, or were doomed to the flames and burnt, to serve as a nightly illumination, when daylight had expired (Annals XV.44). Don’t expect the benefits of salvation without the demands of discipleship. What do followers of Jesus need to do? In Acts 2:36-42, we find three steps for Jesus’ followers. “Repent and be baptized everyone of you in the name of Jesus Christ for the forgiveness of sins, and you will receive the gift of the Holy Spirit” (Acts 2:38). The word “conversion” means “turning.” Biblical conversion is “a turning from sin to Christ. The turning from sin is called repentance, and the turning to Christ is called faith” (Wayne Grudem, Systematic Theology, p. 709). “Repentance, like faith, is an intellectual understanding (that sin is wrong), an emotional approval of the teachings of Scripture regarding sin (a sorrow for sin and a hatred of it), and a personal decision to turn from it (a renouncing of sin and a decision of the will to forsake it and lead a life of obedience to Christ instead” (ibid., p. 713). So those who received his word were baptized, and there were added that day about three thousand souls (Acts 2:41). Baptism is an outward, physical symbol of the inward, spiritual conversion of Christians. It pictures person being “buried” with Christ (submersion under water) and being “raised” to new life with Christ (emergence from water) (ESV Study Bible, p. 2167). Is baptism necessary for the forgiveness of sins? No. But some verses (e.g., Acts 2:38) might seem to say this. Why? Because baptism usually happened immediately after conversion. In the early church, there were probably no unbaptized believers. Baptism is not necessary for the forgiveness of sins, but baptism is still a big deal. To remain unbaptized, is to disobey Jesus! And they devoted themselves to the apostles’ teaching and the fellowship, to the breaking of bread and the prayers (Acts 2:42). This third step is really a series of many steps. We will not reach perfection, but we should see progression. Here is what Jesus said about His disciples. “If you abide in my word, you are truly my disciples” (John 8:31). “By this all people will know that you are my disciples, if you have love for one another” (John 13:35). “By this my Father is glorified, that you bear much fruit and so prove to be my disciples” (John 15:8). Now as they were eating, Jesus took bread, and after blessing it broke it and gave it to the disciples, and said, "Take eat; this is my body." And he took a cup, and when he had given thanks he gave it to them, saying, "Drink of it, all of you, for this is my blood of the covenant, which is poured out for many for the forgiveness of sins" (Matt. 26:26-28). During His last supper with His disciples, Jesus "took a cup" and said that the wine in that cup was symbolic of His blood. He then stated that His blood would soon be "poured out for many for the forgiveness of sins." The Lord's Supper is intended only for those who have experienced the forgiveness that comes from the blood of Jesus. How does a person receive this forgiveness? On an earlier occasion, Jesus declared, "Truly, truly, I say to you, unless you eat the flesh of the Son of Man and drink his blood, you have no life in you. Whoever feeds on my flesh and drinks my blood has eternal life, and I will raise him up on the last day" (John 6:53-54). Jesus was obviously not speaking literally when He talked about people drinking His blood. How are we to "drink his blood" so that we may be forgiven of our sins? Each one of us must individually "drink His blood" into our hearts by faith. (A cold glass of your favorite drink does you no good until you drink it.) "Whoever believes in the Son has eternal life; whoever does not obey the Son shall not see life, but the wrath of God remains on him" (John 3:36). When you drink of the cup of the Lord's Supper, you are demonstrating that you personally have received by faith the forgiveness that is available through Christ's shed blood. Read Matthew 26:36-46 and 27:45-46. "My Father, if it be possible, let this cup pass from me; nevertheless, not as I will, but as you will" (Matt. 26:39). In Gethsemane, Jesus was "sorrowful and troubled" (v. 37). Luke writes, "And begin in an agony he prayed more earnestly; his sweat became like great drops of blood falling down to the ground" (Luke 22:44). "Though the word 'like' may indicate that this is to be understood metaphorically, there are both ancient and modern accounts on record of people sweating blood—a condition known as hematidrosis, where extreme anguish or physical strain causes one’s capillary blood vessels to dilate and burst, mixing sweat and blood" (ESV Study Bible, p. 2007). On another occasion, Jesus said, "Now is my soul troubled. And what shall I say? 'Father, save me from this hour'? But for this purpose I have come to this hour" (John 12:27). In Gethsemane, Jesus was "sorrowful and troubled" (v. 37). What was the "cup" that He dreaded to drink? The "cup" was not physical suffering. There are two reasons why the cup Jesus dreaded was not physical suffering. First, if the cup meant physical suffering then Jesus would have been guilty of not practicing what He preached. He once told His followers that when insulted, persecuted, and slandered, they were to "rejoice and be glad" (Matt. 5:11-12). Second, if the cup meant physical suffering then Jesus would have been outdone by His followers. The apostles, leaving the Sanhedrin with backs bleeding from a merciless flogging, were actually "rejoicing that they were counted worthy to suffering dishonor for the name" (Acts 5:41). In the postapostolic period there was even a longing to suffer martyrdom. In the middle of the second century, Polycarp, the eighty-six-year-old bishop of Smyrna, having refused to escape death either by fleeing or by denying Christ, was burned at the stake. Just before the fire was lit, he prayed, "O Father, I bless thee that thou hast counted me worthy to receive my portion among the number of the martyrs" (The Cross of Christ, p. 77). The "cup" was spiritual suffering. In the Old Testament, the Lord's "cup" was a symbol of His wrath. "In the hand of the LORD there is a cup with foaming wine, well mixed, and he pours out from it, and all the wicked of the earth shall drain it down to the dregs" (Ps. 75:8). "Wake yourself, wake yourself, stand up, O Jerusalem, you who have drunk from the hand of the LORD the cup of his wrath, who have drunk to the dregs the bowl, the cup of staggering" (Isa. 51:17). "The LORD, the God of Israel, said to me: 'Take from my hand this cup of the wine of wrath, and make all the nations to whom I send you drink it'" (Jer. 25:15). "The cup in the LORD’s right hand will come around to you, and utter shame will come upon your glory!" (Hab. 2:16). On the cross, Jesus would experience the wrath of God. That was the cup Jesus dreaded to drink. We turn back to that lonely figure in the Gethsemane olive orchard—prostrate, sweating, overwhelmed with grief and dread, begging if possible to be spared the drinking of the cup. The martyrs were joyful, but he was sorrowful; they were eager, but he was reluctant. How can we compare them? How could they have gained their inspiration from him if he had faltered when they did not? Besides, up till now he had been clear-sighted about the necessity of his sufferings and death, determined to fulfill his destiny and vehement in opposing any who sought to deflect him. Had all that suddenly changed? Was he now after all, when the moment of testing came, a coward? No, no! All the evidence of his former teaching, character and behavior is against such a conclusion. In that case the cup from which he shrank was something different. It symbolized neither the physical pain of being flogged and crucified, nor the mental distress of being despised and rejected even by his own people, but rather the spiritual agony of bearing the sins of the world—in other words, of enduring the divine judgment that those sins deserved (The Cross of Christ, p. 78). In the end, Jesus was determined to drink the cup. When He was arrested, Peter tried to fight against the soldiers. But Jesus said to Peter, "Put your sword into its sheath; shall I not drink the cup that the Father has given me?" (John 18:11). "My God, my God, why have you forsaken me?" (Matt. 27:46; cf. Ps. 22:1). There have been many ideas about the significance of this cry from the cross: (1) it was a cry of anger, unbelief, or despair; (2) it was a cry of loneliness (He felt forsaken, but really wasn't); (3) it was a cry of victory (He quoted the first verse of Psalm 22 in order to represent the entire Psalm, which ends in triumph; cf. vv. 22-24). The best explanation is that Jesus actually was forsaken by the Father. People sometimes refer to a place as "godforsaken." The cross really was a "godforsaken place." Why was Jesus "forsaken"? It was because of our sin. “An actual and dreadful separation took place between the Father and the Son; it was voluntary accept by both the Father and the Son; it was due to our sins and their just reward; and Jesus expressed this horror of great darkness, this God-forsakenness, by quoting the only verse of Scripture which accurately described it, and which he had perfectly fulfilled” (The Cross of Christ, p. 84). "For our sake [God] made [Christ] to be sin who knew no sin, so that in him we might become the righteousness of God" (2 Cor. 5:21). While Jesus hung on the cross, "there was darkness over all the land" (Matt. 27:45). "It seems that the darkness of the sky was an outward symbol of the spiritual darkness that enveloped him. For what is darkness in biblical symbolism but separation from God who is light and in whom 'there is no darkness at all' (1 Jn. 1:5)? 'Outer darkness' was one of the expressions Jesus used for hell, since it is an absolute exclusion from the light of God’s presence. Into that outer darkness the Son of God plunged for us. Our sins blotted out the sunshine of his Father's face. We may even say that our sins sent Christ to hell…." (The Cross of Christ, p. 81). 1. Our sin must be extremely horrible. The cross strips us of our self-righteousness. It shows us that we need a Savior. 2. God's love must be wonderful beyond comprehension. "For God so loved the world, that he gave his only Son" (John 3:16). We can't understand the intensity of love that impelled God to give Jesus to bear the wrath we deserve. 3. Christ's salvation must be a free gift. "[Christ] 'purchased' it for us at the high price of his own life-blood. So what is there left for us to pay? Nothing! Since he claimed that all was now 'finished,' there is nothing for us to contribute" (The Cross of Christ, p. 86). Salvation is by grace through faith. "My Father, if this cannot pass unless I drink it, your will be done" (v. 42). "Although in theory 'everything is possible' to God, as Jesus himself affirmed in Gethsemane (Mark 14:36), yet this was not possible. God's purpose of love was to save sinners, and to save them righteously; but this would be impossible without the sin-bearing death of the Savior" (The Cross of Christ, p. 79). Are you willing to say to Jesus, "Your will be done"? Whatever "cup" Jesus gives us, we must be willing to drink it. How can you say no to Jesus after what He did for you? 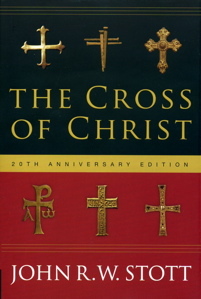 One of the books I am presently reading is The Cross of Christ by John Stott. It is "the work of a lifetime, from one of the world's most influential thinkers, about the heart of the Christian faith" (back cover). It was selected by Tim Challies of challies.com as the latest book for his Reading Classics Together, so I decided, since I recently purchased the book, that this would be a good time to read it. So far, I have read four chapters, and I would wholeheartedly recommend this book. The third chapter, "Looking Below the Surface," has been a great help to me this week in my sermon preparation. 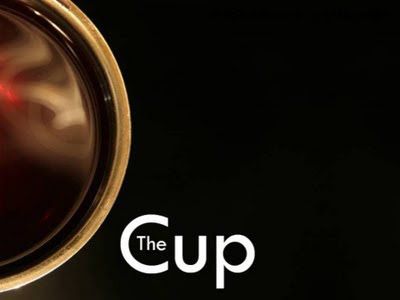 I'll be preaching on "The Cup" (the agony in Gethsemane and the cry of dereliction on the cross). Bible reading and study needs to become a daily habit in our lives (like having a cup of coffee every morning or watching the news at 6:00 every evening). Paul urged Timothy to do his best as a student of the Bible so that he wouldn't be "ashamed." It is shameful that so many Christians neglect the Word of God. "Do your best to present yourself to God as one approved, a worker who has no need to be ashamed, rightly dividing the work of truth" (2 Timothy 2:15). YouVersion reading plans - One of the nice features of YouVersion is the option of following a Bible reading plan. Right now I'm doing the Project 3:45+ plan. YouVersion tracks your progress to see if your're keeping up with your plan or not. Audio Bibles - Audio Bibles are very helpful for people who are on the move. For example, you can listen to God's Word while you're taking a walk or driving to work. YouVersion offers audio Bibles in multiple translations. Don't Break the Chain! - This is a simple motivational technique that won't work for everyone, but it does work for me. You can use a regular calendar or the website. Basically, you put an X on the days you complete your task (in this case, Bible reading). The goal is to never "break the chain." If you don't think this would help you, perhaps you could get creative and come up with another way to motivate yourself. Bible study can be difficult work. A. W. Pink once said, "No verse of Scripture yields its meaning to lazy people." But the work can be made easier with the help of some good tools. "Do your best to present yourself to God as one approved, a worker who has no need to be ashamed, rightly handling the word of Truth" (2 Timothy 2:15). ESV Study Bible - I have been using this study Bible for about a year. In my opinion, it's the best one I've read so far. If you could own only one book other than the Bible, this might be the one you'd want. Those who purchase the ESV Study Bible also receive online access to the study notes at esvbible.org. NIV Study Bible - This study Bible has been a great help to me over the years. Zondervan has also published versions of this Bible, with similar notes, in the King James Version and the New American Standard Bible. Dig Deeper - This book by Nigel Beynon and Andrew Sach offers 16 "tools" for understanding the Bible. For example, one of the tools is the author's purpose tool ("Why did the author write this?"). YouVersion - YouVersion is available both online and as a mobile app called the Bible. You can also browse or search the Bible in multiple translations. The student of God's Word needs a plan (like a builder needs a blueprint). Of course, every person is unique, so there probably isn't one plan that works best for everyone. "Do your best to present yourself to God as one approved, a worker who has no need to be ashamed, rightly handing the word of truth" (2 Timothy 2:15). Choose a book of the Bible. Most devotional books skip from one book to another each day, but reading through one book allows you to get the context of a passage (one of the basic needs for good biblical interpretation). Start with prayer. The prophets were "carried along by the Holy Spirit" as they spoke (2 Peter 1:21), and we need to be illuminated by the Spirit as we read (1 Cor. 2:12-14). Read the entire book. Reading the entire book in one sitting helps you to understand the theme and purpose of the book. Slow down and read the book verse-by-verse. Don't rush. Meditate upon Scripture. Let it sink into your heart and mind. As you read, ask yourself some questions. What does this passage say? What does it mean? How does it apply to my life? 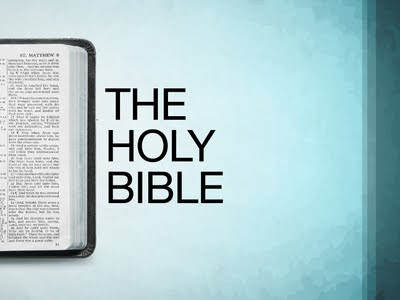 "Bible" comes from the Latin biblia, meaning "books." It was written over a period of more than 1500 years. It was written by over 40 authors. It was written in three languages (Hebrews, Aramaic, Greek). It was originally copied by hand and preserved on scrolls. It was divided into chapters in 1228. The OT was divided into verses in 1488. The NT was divided into verses in 1551. It was translated into English by John Wycliffe in 1380. It was first book ever printed in 1454. It was printed into English by William Tyndale in 1526. The Authorized Version (KJV) was printed in 1611. It is the best-selling book of all time. 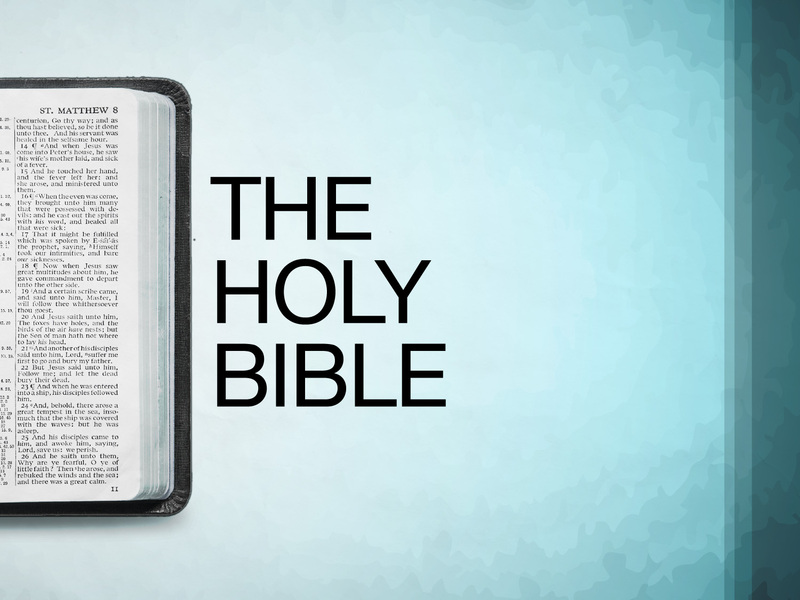 What does the Bible say about itself? The words of the Bible are the words of God. All Scripture is breathed out by God (2 Tim. 3:16). The Greek word for “breathed out by God” (“inspired,” NASB) is theopneustos. The word does not occur in any other Greek text (biblical or secular) prior to 2 Timothy. Some suggest that Paul might have invented the word. No prophecy was ever produced by the will of man, but men spoke from God as they were carried along by the Holy Spirit (2 Peter 1:21). The verses above refer to the OT? What about the NT? Peter implies that Paul’s writings are Scripture: “There are some things in [Paul’s letters] that are hard to understand, which the ignorant and unstable twist to their own destruction, as they do the other Scriptures” (2 Peter 3:16). And Paul quotes the words of Jesus in Luke 10:7 as Scripture. “The Scripture says, ‘You shall not muzzle an ox when it treads out the grain,’ and, ‘The laborer deserves his wages’ (cf. Deut. 25:4). The law of the LORD is perfect (Psalm 19:7). There are no errors or contradictions in the Bible. A perfect God gave us a perfect book. Every idea of the Bible and every word of the Bible is God-breathed. (This is often called verbal, plenary inspiration. This inspiration applies to the original manuscripts, but we can be sure the these manuscripts were carefully copied.) Jesus declared, “Truly, I say to you, until heaven and earth pass away, not an iota, not a dot, will pass from the Law until all is accomplished” (Matt. 5:18). The “iota” is the smallest letter of the Greek alphabet. The “dot” likely refers to a tiny stroke or a part of a letter used to differentiate between Hebrew letters (ESV Study Bible). The grass withers, the flower fades, but the word of our God will stand forever (Isa. 40:8). Should we believe the Bible’s claim that it is God-breathed? Its accurate history and fulfilled prophecies suggest that we should. I will delight in your statutes; I will not forget your word (Psalm 119:16). The Hebrew word for “forget” (shakach) means to lay aside, to forget, to take for granted, to neglect. If the words of the Bible are the words of God, we should never neglect it. What should our response be? 1. We should strive to master the Bible. Do your best to present yourself to God as one approved, a worker who has no need to be ashamed, rightly handling the word of truth (2 Timothy 2:15). 2. We should strive to be mastered by the Bible. Be doers of the word, and not hearers only, deceiving yourselves (James 1:22; see also vv. 23-25). The Bible is like a mirror. It shows us changes we need to make. To disregard the words of the Bible is to disregard the words of God. The Psalmist said, “I have stored up your word in my heart, that I might not sin against you” (Psalm 119:11). Are These Words Holy and Precious to You? Jesus once said, “Heaven and earth will pass away, but my words will not pass away” (Matt. 24:35). Think of what you do during your free time. How much time do you spend on things that will “pass away”? How much time do you spend reading and studying the Bible? What would people like John Wycliffe and William Tyndale think of all of think of our treatment of the Bible? They risked their lives so that we could have God's Word in English. (Tyndale was strangled to death, and his dead body was burned at the stake.) But so often we neglect the Bible. Its words are the very words of God. Its words are holy. Its words are precious. Strive to master it. And strive to be mastered by it.